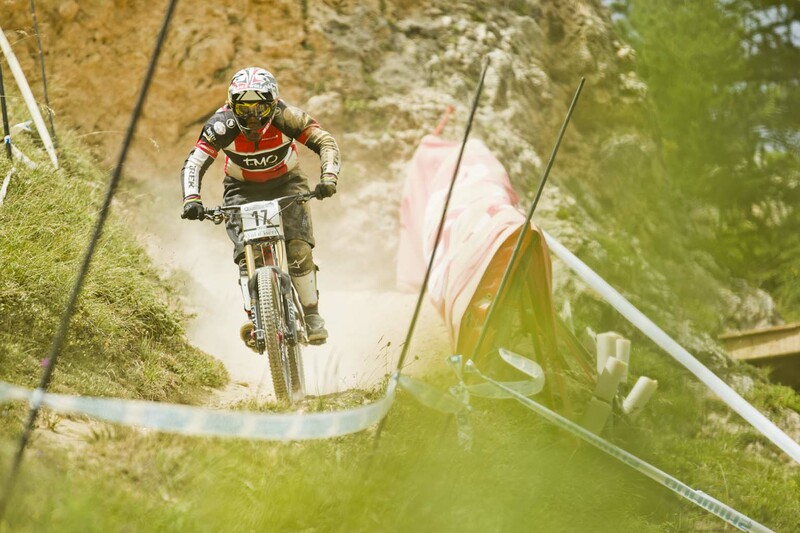 After a month of racing enduro’s in Europe I was pretty excited to get back on the World Cup downhill circuit as I felt that all my bike time would be good preparation. Although having not ridden my downhill bike since Fort William it didn’t take me long to feel good on my bike. The track in Val D’Isere was a new one of the world cup circuit and it seems as though it’s a track that had been used for the French Nationals a few times but other than that it was not a permanent track. It was quite old skool with some very off camber loose turns and flat out straights with a few drops to flat ! A lot of the trail was also really narrow, animal track width and racing flat out on the dh bike, it did feel really narrow ! Although not super technical the track took its toll on a few people, with one of them being one of the top girls Tracey Hannah crashing in practice and breaking her femur and collar bone. I wish her a speedy recovery. Sadly I also took a slam during the qualification race, just getting off line on one of the fast narrow traverses and the next thing I knew I was picking myself up off the floor. I felt really winded when I got back on my bike but the feeling didn’t go as I continued to ride down the course. I had taken a massive blow to my ribs on the left side and as I came into the last corner I just drifted wide and lost a lot of speed and had to go around the final jump. Looking pretty dusty just after my qualifying crash !